Now a days, it is not so uncommon to find people playing mobile games in all imaginable places and times. Games are played in a parks, offices, places like in bed, toilet etc. All that is required that one should be able to hold a mobile in hand and preferable to have internet. There is no dearth of players at any time, round the world. Such mobile games which they keep playing and forget themselves – but rarely satisfied. They forget the time and go on and even leave their essential work to carry out. They want to go on playing the game or to compete with the internet partners or friends. Most of these games discreetly tend to push the players to pay amounts to be first or gain rank higher than others. Leaving aside kids, even the grown ups have started to play these games. Some players say that you don’t feel bored and pass the time easily. Here are a few popular games out of many available on line. 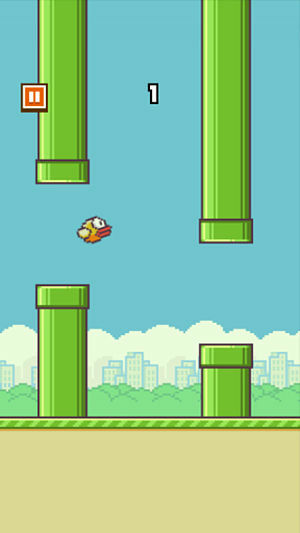 FlappyBirds: This game is mostly played by school going kids. They tend to forget their routine and may be rebuked by their peers. On loosing they some time they damage their hand set. The game was in market in 2013, developed by Vietnam-based developer Nguyễn Hà Đông and published by .GEARS Studios, a small, independent game developer also based in Vietnam. Flappy Bird is a play of a side-scrolling mobile game featuring 2D retro style graphics.The aim is to let the bird fly safely through sets of pipes when progresses to the right. The objective is to direct a flying bird, without colliding with them, which otherwise ends the game. It was removed from Appstore due to addictive nature by the inventor on Feb 10 2014. Many other have come up by others but Apple and google have said good bye to the game. 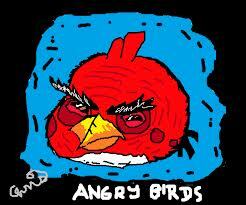 AngryBirds: Downloadable by Apps. Here one has to ping the birds. This game is favorite because of the sound produced. This video game is creations of a Finnish firm called Rovio Entertainment depicting wingless birds’ The game is combination of being cheap and not much addictive in nature. Thus a favorite of majority of players. was released in 2009. Angry Birds is demanded and even available in the computers. It has been praised for its successful combination of addictive gameplay, comical style, and low price. 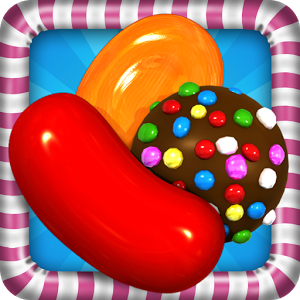 Candy Crush Saga: Here three colors are to brought together and you get a sweet. Here one gets so much absorbed that you keep replaying and loose money if you do not make in time. Candy Crush Saga is a match-three puzzle video game released by the developer King on April 12, 2012 for Facebook, and on November 14, 2012 for smartphones. The game developer earns heavily and has over 45 millions user monthly. Up until March 2013 this was most popular game on Facebook.The Daily Mail claims that the high profitability of the game has prompted the UK Office of Fair Trading to push for guidelines on games with exploitative game mechanics. A major expansion to the game was launched in December 2013.